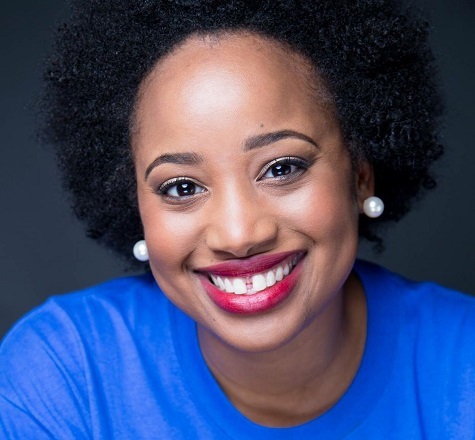 WASHINGTON, D.C. — WE ACT for Environmental Justice (WE ACT) welcomes Kerene N. Tayloe, Esq. as Counsel/Director of Federal Legislative Affairs, a new position based in the organization’s Federal Policy office in Washington, D.C. She served as a WE ACT’s Federal Policy Associate before becoming the Policy Director for Green For All. “I am incredibly proud to return to WE ACT for Environmental Justice in this new role,” said Kerene N. Tayloe, Esq., Counsel/Director of Federal Legislative Affairs at WE ACT for Environmental Justice. “Having had the privilege of working with both the previous directors of WE ACT’s Federal Policy office, I hope to continue their work to bring a needed environmental justice perspective on climate change, environmental health and policy in Washington, D.C.
Tayloe began her career helping elect New York State Senator Andrea Stewart-Cousins, the first African American to represent the city of Yonkers in the State Senate and the first woman in New York State history to lead a conference in Albany, NY. She went on to serve on a number of campaigns, working to help elect women and people of color, before becoming an Election Protection Fellow at the Lawyers’ Committee for Civil Rights Under Law. She was also a fellow in the highly selective Clean Energy Leadership Institute whose mission is to empower young professionals for careers in clean energy. Passionate about the fight for climate justice and environmental justice, Tayloe has shared her insight and experience as a speaker at various events including Afropunk, Broccoli City Fest, The Clean Energy Leadership Institute and The Congressional Black Caucus Annual Legislative Conference. She is also a member of many organizations and associations, including the world’s largest and most influential sorority founded for Black women, Delta Sigma Theta Sorority, Inc.
Kerene N. Tayloe, Esq. joins WE ACT for Environmental Justice as Counsel/Director of Federal Legislative Affairs based in the organization’s Washington, D.C. Federal Policy office.